The Rebel Sweetheart. 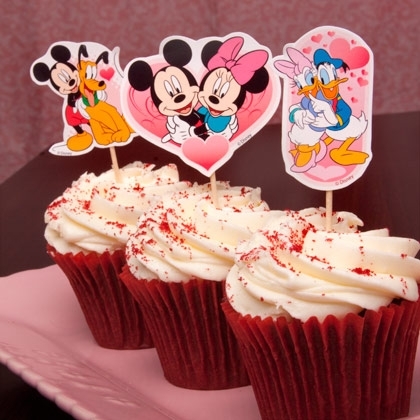 : Foodie Goodie | Meeska, Mooska, Mickey Mouse! The little man turns four this November, and as early as the first week of September, the preparations for his birthday celebration began. That's the way it has been ever since his first birthday. 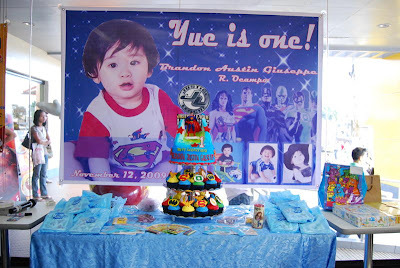 After his Justice League birthday party in 2009, I made it a point to have a themed birthday party every year. Even if his second and third birthday were just simple celebrations at home, with his godparents as guests. Third Birthday, Phineas and Ferb. Good thing he chose the former, as I wouldn't have that much of a problem when it comes to party ideas. 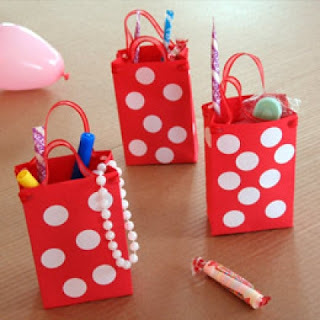 Spoonful.com is teeming with Mickey Mouse crafts and recipes, and the site has been a great help for the party preparations. 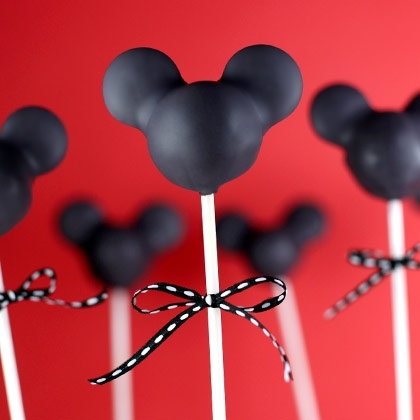 These Mickey silhouette cake pops are just too cute to go unnoticed. They're a tad fussy to make, but I can just imagine the gleeful faces of the little man's classmates when they see this. These Minnie Mouse inspired favor bags make great souvenirs, too. Stuff them with candies and little toys and they're good to go. McDonald's party package for themed celebrations come complete with lootbags and party favors, though. That way, my arts-and-crafts skills (or the lack of it) need not be challenged, lol. As for the birthday cake, I'm still undecided if I should just go for the traditional one (complete with cake toppers and lettering) or have something similar to my Super Junior birthday cupcakes instead. Either way, I'm sure the little man will have no complaints about it. He's happy for as long as he has a candle to blow, haha. Sharing this post with Food Friday, Food Trip Friday, Heavenly Treats Sunday. I'm sure he will love it. We don't do much fancy stuff for birthdays. A cake and one or two presents and my kids are happy. Happy 4th birthday to your little man. Love the theme for the birthday this year- Mickey Mouse. One of my favourite characters. Your little man is surely blessed to have a mother like you. As moms, it is also our joy to make out little ones happy of their special day. I had school celebrations for my kids when they were younger too... they were fun! I love those Mickey-themed party stuff... cake pops sound yummy, better than lollipops! 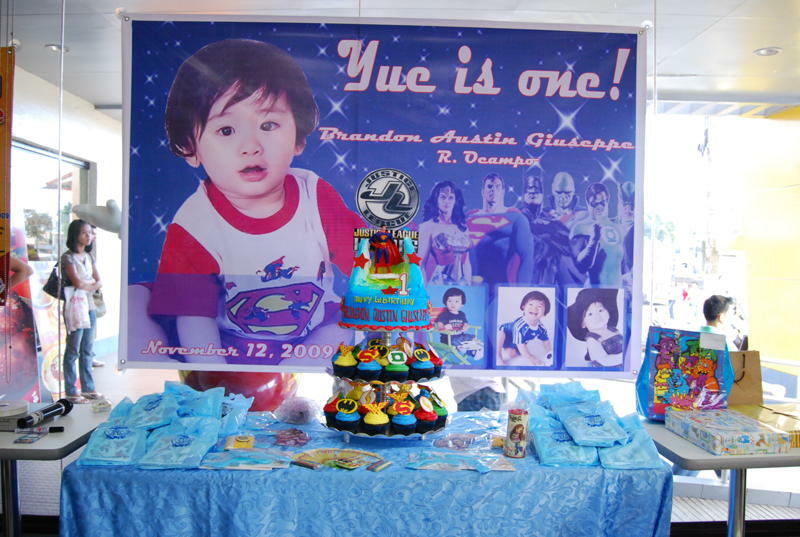 Wow Yue's turning 4! I'm sure the kids in school will have loads of fun. 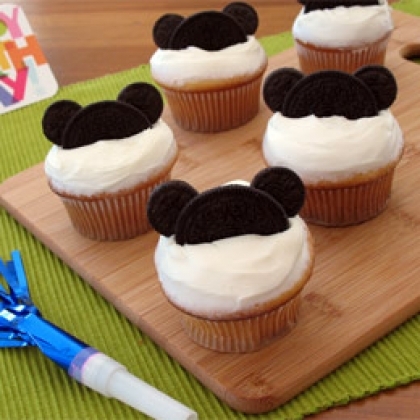 I love those Mickey cupcakes, the ones with Oreos?